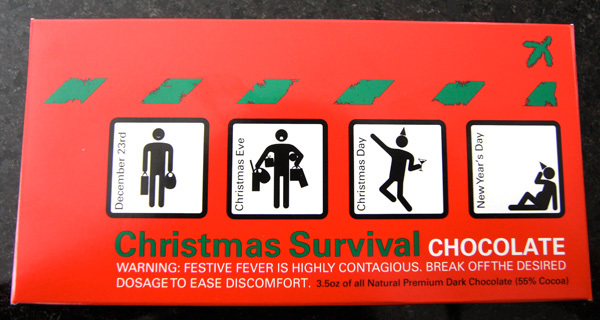 Seeing as i’m pretty much lost in a state of continuous consumption with this holiday season - particularly thanks to the gift guides - it was nice to be gifted with this “Christmas Survival Chocolate” this morning… nothing like some playful graphic design to help you hang in there, and it doesn’t hurt that its filled with chocolate! By New Zealand brand, Bloomberry, this line of playfully wrapped confections is quite cute ~ but the signage like figures on the xmas pack are definitely the best. 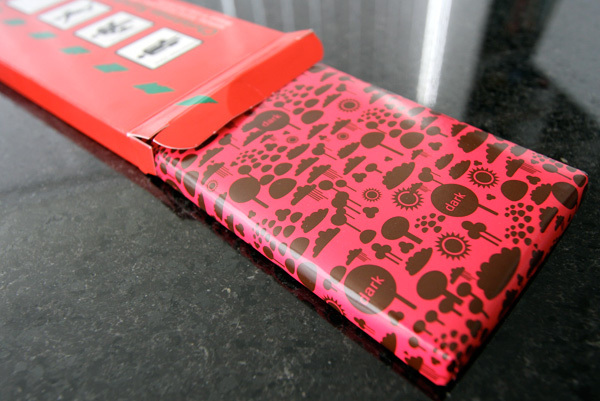 Also loving that they designed nice wrappers for the interiors… see below. 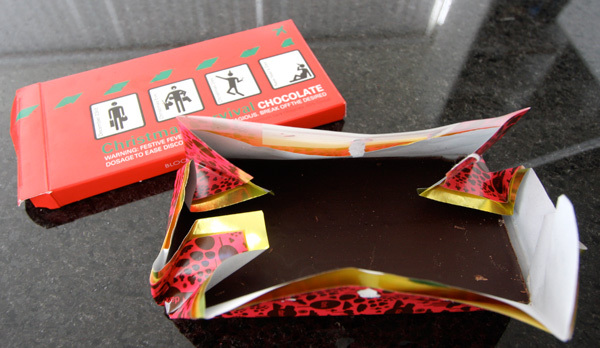 I just finished eating that exact chocolate bar and it tastes good. Definitely not very premium tasting but still scrumptious. It’s not as bitter as other dark chocolates I’ve eaten. I’m going back for more because of the packaging, I like it. I don’t know 55% isn’t very premium.